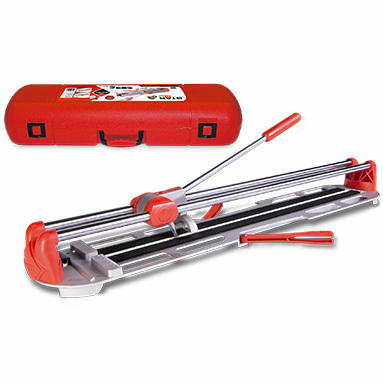 Rubi Star 63 manual tile cutter - with case. 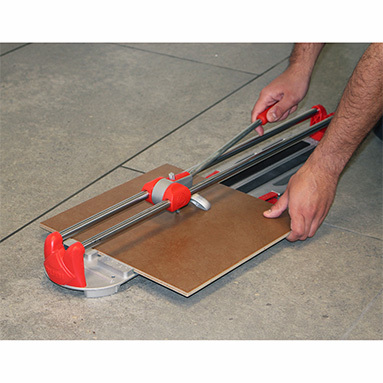 Light and versatile cutter for ceramic tiles. Sliding mobile separator with greater breaking strength. Chromed steel guides with anti-rust treatment for greater durability. Reinforced structure for durability and greater power. 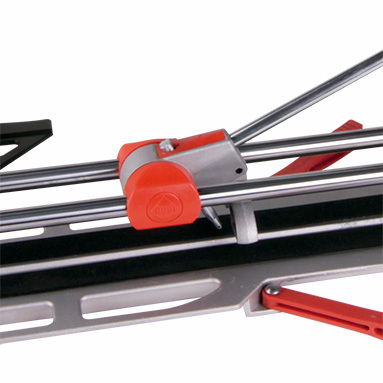 Base offers correct support of the tile, with two lateral supports. Max cutting length: 63cm (24 13/16"). Max diagonal cut: 45x45cm (17 11/16" x 17 11/16"). Max cutting thickness: 12mm (1/2"). Includes 6mm scoring wheel and robust carry case.